Steel is an alloy of iron, but also comprises of about 1% of carbon. Some steel also comprises traces of other elements such as manganese. Whereas iron is soft and corrodes easily, steel is hard and rust resistant. Because of these qualities, steel is used to make everything from automobiles, skyscraper girders and appliances to paper clips and thumb tacks. It is one of the world’s most important metals. In ranking, iron comes second after aluminum in natural abundance. It comprises of about 4.7 % of the earth’s crust, existing mainly in the form of oxides. Because of its poor qualities, it is converted into steel, a stronger and the least expensive of all metals. For several years now, several countries have tried to make steel. During the 18th century, insignificant amount of steel was produced, Sweden being the main producer. In the 19th century, companies in the US started producing steel in large quantities until 1980, when Russia surpassed it. At the start of the 21st century till today, China took over as the world’s leading producer of Steel. Stainless steel is used to make brewing equipment because it does not release any off-flavors. If you didn’t know, beer corrodes manufacturing tanks and lines. The reason for this is that it is acidic in nature and contains microorganisms that are the main components of corrosion and fouling. 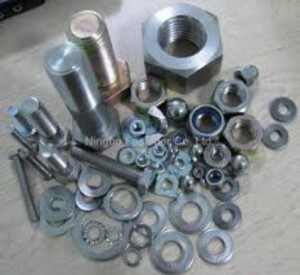 Stainless is corrosive resistant, so it does not produce off-flavors caused by corrosive byproducts. Blacksmiths avoid melting steel because it is one of the metals that have a high melting point. This is the reason they find it hard to produce. The heat that is used to oxidize or melt steel is in the form of a ball deep inside the center of coal. In this area (the center of the coal) is where the temperature rises past 1500 degree Celsius due to coal molding, which makes heat reflect and roll into a ball. For steel to qualify as stainless, it must meet certain technical requirements. One of the requirements is a minimum weight of 10.5 percent chromium but can be more than depending on the environmental condition. These are some of the things that you may not have known about steel; however there are others. Always keep in mind that around 60 percent of stainless steel people use today is recycled. Jessica Kane is a professional blogger who writes for Federal Steel Supply, Inc., a leading supplier of carbon, alloy and stainless steel in pipe, tube, fittings and flanges.